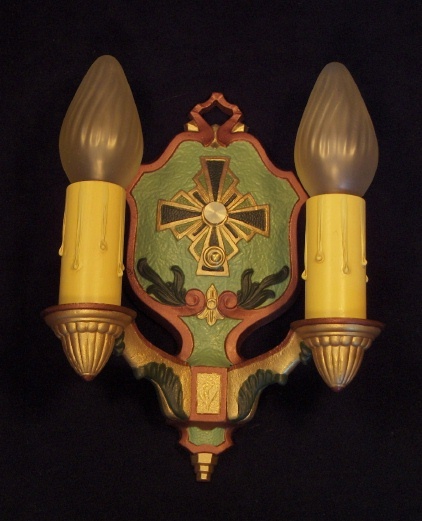 The Art Nouveau movement began in the early 1890's and carried through until the mid 1920's, with some crossover with Art Deco in the later years...(The Lasalles you see listed here are perfect examples). 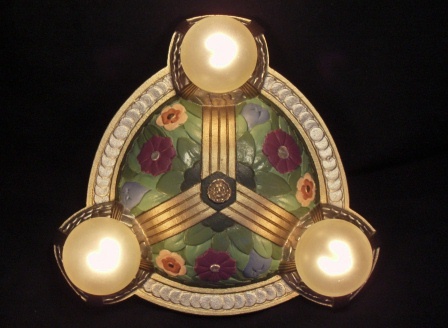 Curved lines, leafage, flowers and sometimes even animals were the common theme for textiles of the period. 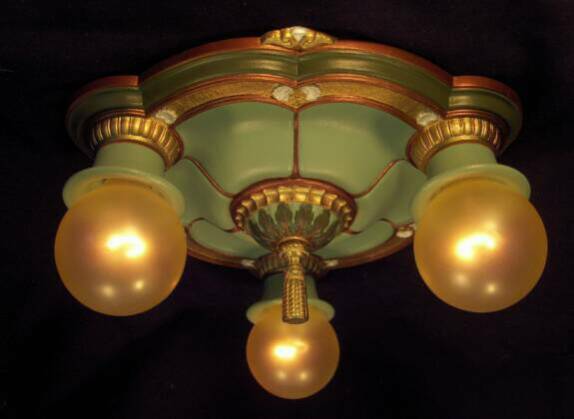 Muted hues made up the color palette, with some brighter colors thrown in for accent. 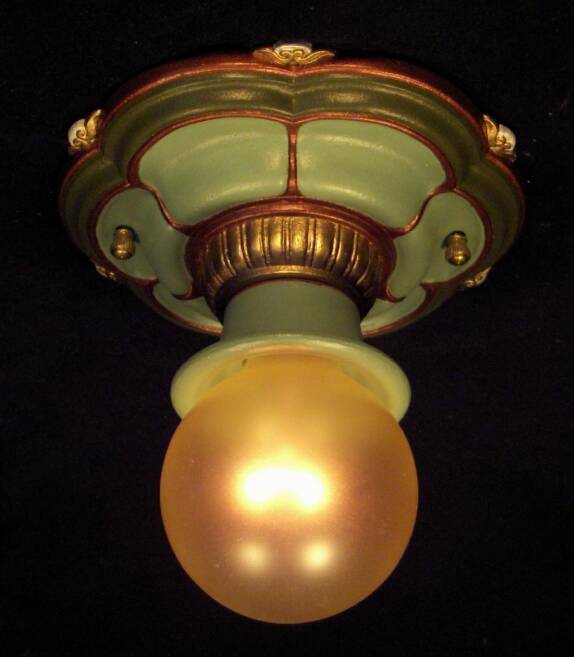 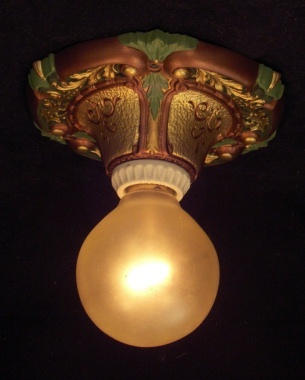 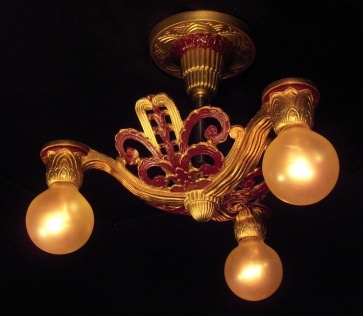 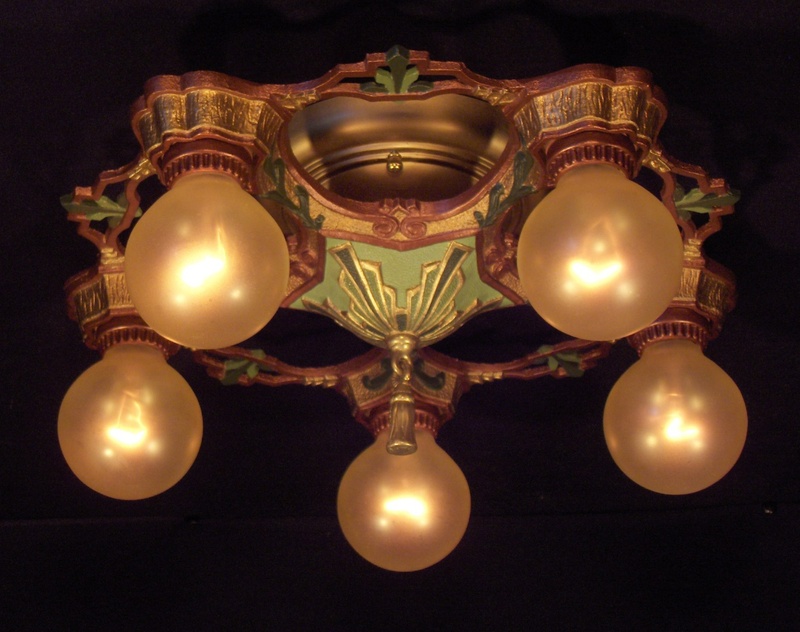 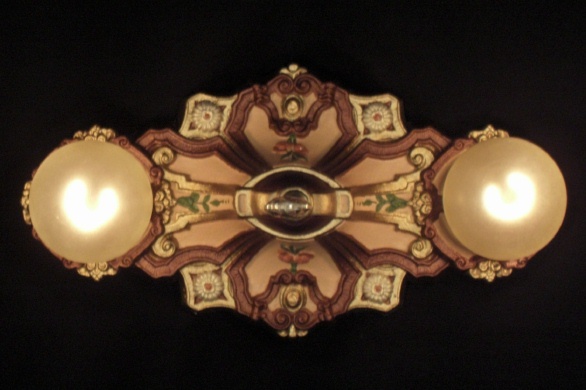 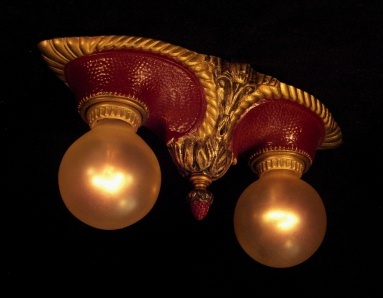 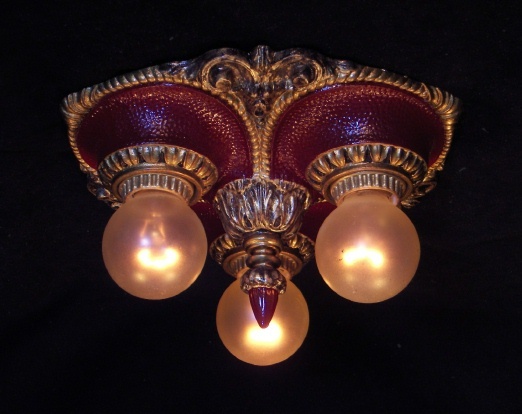 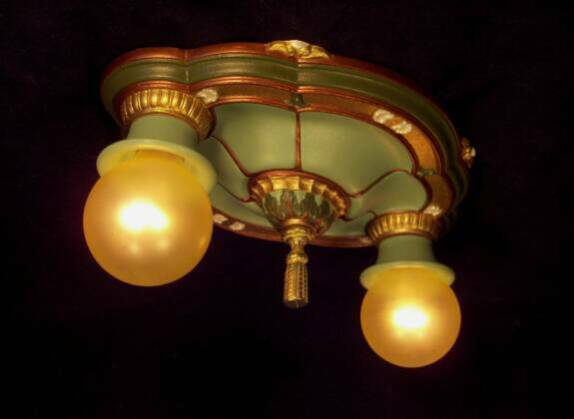 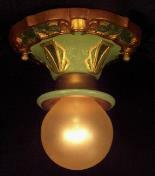 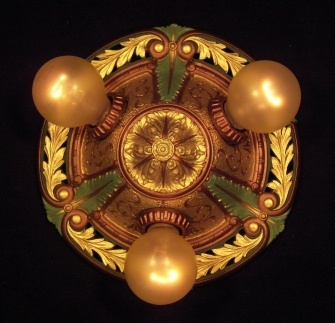 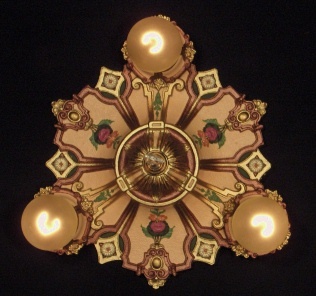 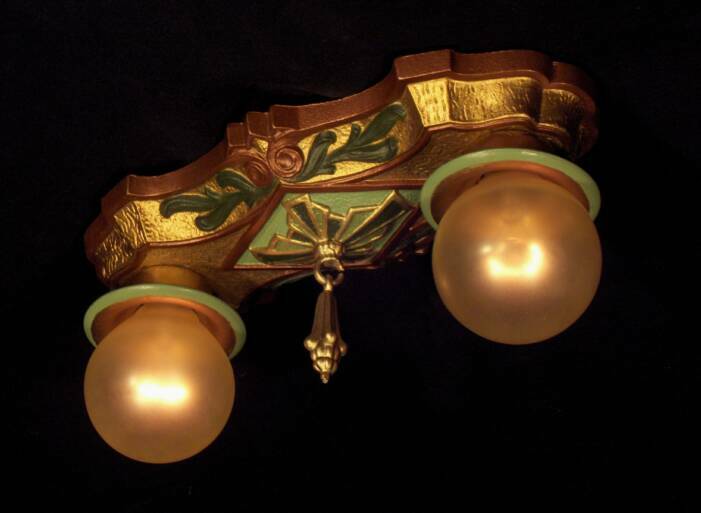 These fixtures will complement Victorian, Art Deco and Art Nouveau period interiors.